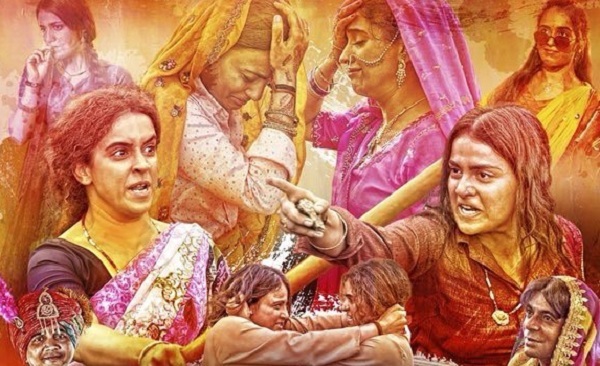 Pataakha Wednesday (6th Day) Box Office Collection. Collapses. Pataakha has finally collapsed on Wednesday (6th day) at box office after a bit of enjoyable extended first weekend. Although film started poorly on day one gave some glimmer of hope from Saturday till Tuesday. However, on Wednesday film crashes and thus fate of the film is almost sealed. Pataakha has collected an approx 55 lakh nett on day 6. Film total business after six days is approx 7.1 crore nett. Film first week collection is heading towards 7.5 crore nett. Film will not collect much after the end of week one. There is a chance that film may cross 10 crore nett in India. But after that not much. Friday -> 0.9 crore nett. Saturday -> 1.4 crore nett. Sunday - > 1.75 crore nett. Monday -> 0.95 crore nett. Tuesday -> 1.55 crore nett. Wednesday -> 0.55 crore nett. Total -> 7.1 crore nett.